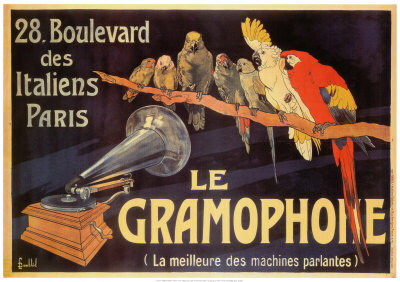 The history of the phonograph is virtually the history of one branch of technology. It was first introduced not all that long ago, in 1877, after Thomas Edison discovered that sound could be reproduced - more about this later. Some time later, simple stereophonic sound was introduced by means of directional slatted doors - you can see this clearly in the photos of my own phonograph. 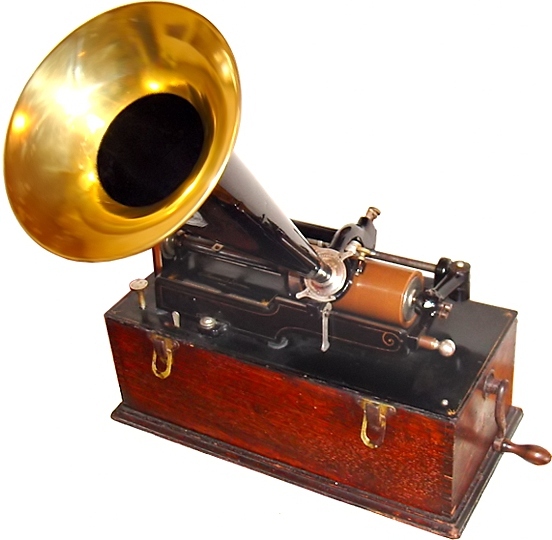 Whether you are looking to buy an antique phonograph or whether you just want to learn more about the history and development of these early sound reproduction systems, there is plenty here for you to read, see and enjoy. Whilst working on his inventions, the telephone and the telegraph,Thomas Edison discovered that messages could be transmitted onto paper by indentations made by sound vibrations. Later he used a metal cylinder wrapped round with tin foil. When he spoke into a mouthpiece, a needle would indent the vibrations onto the cylinder in a groove pattern. And, working with his mechanic, John Druesi, a machine was built in 1877 with a second needle which played back the recorded words. A patent was issued in 1878. Whilst Edison then began to concentrate on developing the incandescent light bulb (sales of which are only in 2011 being banned in the UK), Alexander Graham Bell used his prize money, derived from inventing the telephone, to develop accoustical and electrical research with Chichester A Bell and Charles Sumner Tainter. Improvements were made on the phonograph using wax instead of tinfoil, and using a floating stylus which would cut rather than indent the cylinder, and this was patented in 1886 and called a graphophone. Edison refused to collaborate with them and himself made similar improvements on his own machine, named the New Phonograph. The cylinders cost 50 cents and normally played at 120 r.p.m., featuring music and speech, but they only lasted about 2 minutes, which was limiting, and, as there was no duplication process, performers would need to keep repeating their offerings for marketing. The louder Edison Concert Phonograph with a bigger cylinder came out in 1899, costing $125, with the cylinders $4 but was unpopular and went out of production in 1912 in spite of a large price reduction. By 1901 cylinders could be mass produced, being molded, using a harder black wax, rather than engraved, and up to 150 cylinders could be produced from a single mold. By 1904 this was reflected in the reduced price of 35 cents each. In 1905 a new and improved Edison business phonograph system was brought out which was less fragile and easier to use, but still more costly than Columbia Dictaphones. It consisted of a dictating machine, a separate transcribing machine and a shaving machine to recycle used cylinders. The improved Ediphone came out in 1916 with increasing sales through the 1920’s. The Amberola I phonograph came out in 1909, a luxury floor model with better performance, to compete with Columbia's Grafonola (see photograph on the left) and the Victrola. The Company became Thomas A Edison in 1910 and Edison’s son was also involved. 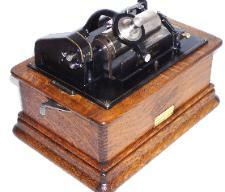 Its main competitors, Columbia and The United States Phonograph Co. had both given up cylinder production by 1913. The disc grew more popular, but the cylinder continued, and Edison brought out an unbreakable cylinder, the Blue Amberol Record which had the best sound to date. But cylinders became increasingly unpopular and in 1913 Edison brought out the Edison Disc Phonograph, whilst continuing with the Blue Amberold cylinders, until the Company closed in 1929. 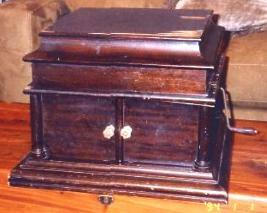 This unusual phonograph is made with a polished mahogany-coloured stained oak cabinet which is in fairly good condition. It has little slats in front which are effectively the forerunners of stereophonic sound, as they are directional and adjust the sound depending on which way they are turned. They can be opened or shut. Inside the bottom cupboard is a space with dividers, to hold records, and there are a few vintage records stored inside it. I have been unable to establish who the maker is. It doesn't seem to have the manufacturer's label anywhere at all. 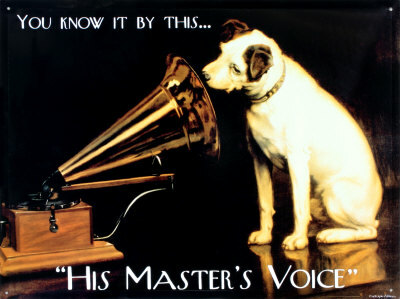 The phonograph is in working order, and, from my own research I believe would have been made about 1910 to 1920. Does anyone recognize it? If so, I would love to hear from you! It is located in London. What's your view about collectables (or is it collectibles? 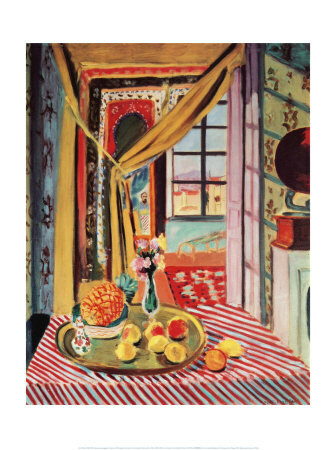 ), be they antiques, vintage or modern? Do you Collect anything - if so, what is your weakness? I don't collect much...I guess sheet music would be my main vice in that department...and I need to get it organized! It's in several different places because I have so much. 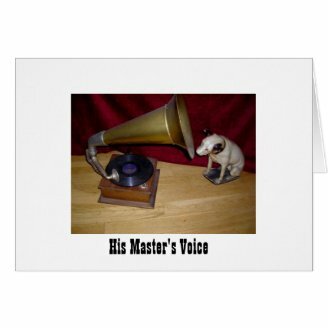 Meanwhile, here is a photograph of Nipper to whet your appetite: You won't have seen him in that position before, because this isn't the painting in the His Master's Voice advertisement - this is for real, a Nipper ornament and a trumpet phonograph in my own lounge. 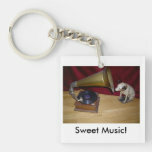 The first one is designed by me - that's my Nipper and Phonograph - I love them! If you don't see what you are looking for, just hover over the items below and you will be transported to their website, where you can browse to your heart's content - good hunting! The description of this museum will make you mad to go and see it. I wish I lived closer! Fascinating! 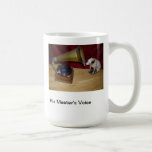 I remember the old gramophone my father loved - it actually worked pretty well! Love your Nipper ornament! Very interesting page. I love the old photos! Enjoyed the article...I have always enjoyed recordings and miss the old phonographs...still have one that works and all of my 33s...enjoy listening to them on occasion.